For a bird’s eye view of Oahu, the only way to go is with Blue Hawaiian Blue Skies of Oahu tours! You’ll feel like royalty in their Eco-Star helicopter that features first class seating for every guest. 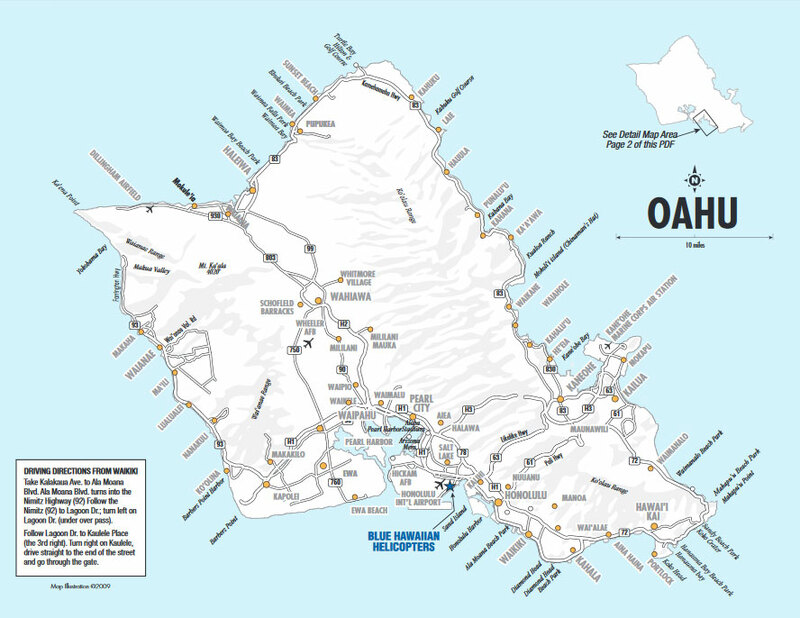 This state of the art tour is only offered by Blue Hawaiian Helicopter Tours. Choose from either a morning departure time at 8:00am or an afternoon departure at 12:00pm to see the amazing sites of Oahu. This four hour helicopter tour begins at the Blue Hawaiian office where you’ll board a state of the art helicopter with an expansive cockpit and unbelievable panoramic views. Each guest will receive their own set of noise cancelling headphones that allows for two way communication between you and your highly experienced, state certified pilot. Your Blue Skies of Oahu tour begins at Waikiki Beach and takes you through the most amazing scenery on the island! You’ll get a chance to see the hidden rainforests, the coral reefs of Waikiki, the extinct volcano of Diamond Head, Hanauma Bay, Waimanalo beach, Chinaman’s Hat and the coral formations on Kaneohe Bay. And that’s just the beginning! You’ll also see the cliffs of the Nuuanu Valley rainforest, the Dole Pineapple Plantations, Pearl Harbor, the Arizona Memorial, and the Battleship Missouri. You don’t want to forget your camera on this one. But don’t worry if you do! There is a high quality, live DVD recording of every flight and can be purchased for $25 at the end of your flight. There are no other Oahu Activities that allow you to pack in so much scenery in such little time. Trust us -- you do not want to miss out on the opportunity to see Oahu through Blue Hawaiian’s Blue Skies of Oahu helicopter tour! Contact Hawaii Activities Discount today to book your trip. You’ll be glad you made this one of the things on your Hawaii Activities to do list! Complimentary roundtrip transportation is available from the Waikiki area.